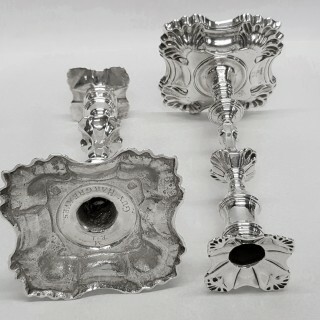 A good pair of antique sterling silver candle holders with shell corners and detachable sconces. 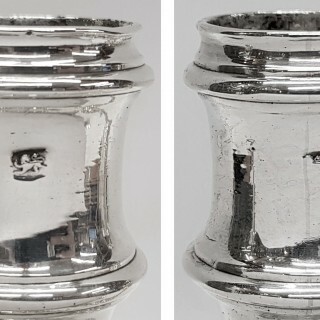 Very attractive design and heavy cast silver. Each has a hand engraved crest to one corner of the base. Weight 854 grams, 27.4 troy ounces. Height 20 cm. 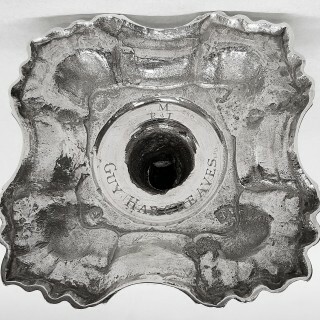 Base 10.7 x 10.7 cm. London 1762. Maker John Hyatt and Charles Semore. 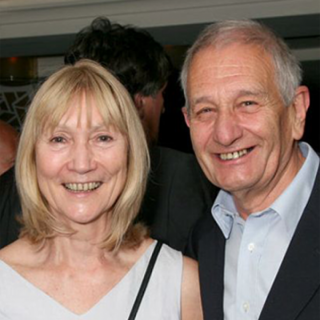 Biography – John Hyatt, London silversmith, apprenticed to James Gould 1733, free 1741. Mark entered as large worker 1742. 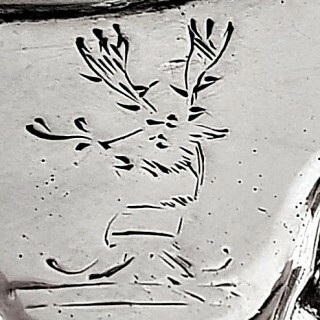 2nd mark in partnership with Charles Semore 1757. Charles Semore, London silversmith, no record of apprenticeship or freedom. 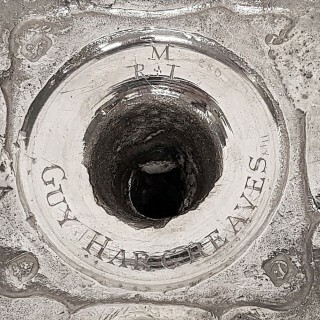 Mark entered in partnership with John Hyatt 1757. Semore (or Seymour), was also in partnership with William Lancaster in 1773 as smallworker without any mark struck. 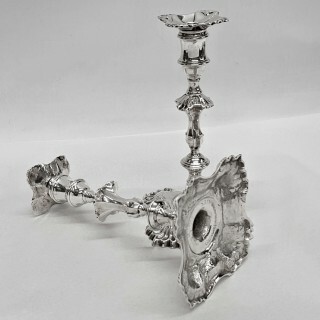 Cast candlesticks started to appear circa 1685, these are much heavier in weight and capable of withstanding greater wear. 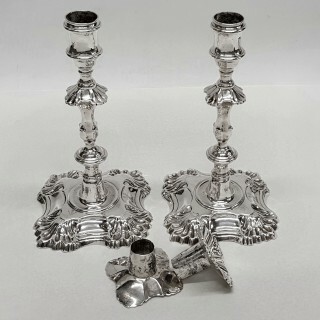 The first loaded candlesticks appeared circa 1765 and are made of sheet, and not cast. 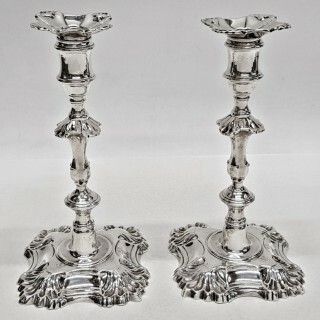 These lovely candlesticks are in very condition with no damage or restoration. 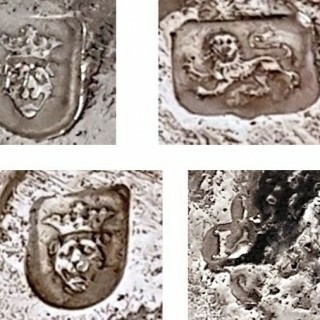 Stamped underneath the base with a matching set of English silver hallmarks, the sconces have the lion, the nozzles with lion and maker. john hyatt and charles semore.